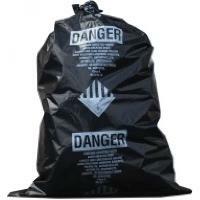 We are offering asbestos bag, asbestos has a number of uses in building construction, mainly insulation and can be found in lagging and fire retardant materials. Improper usage of asbestos has deadly consequences including various types of cancer. The mineral exists in very thin fibres and it disseminates in the air with ease – this is what makes asbestos removal a necessity. 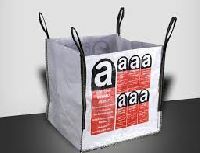 Asbestos bag is fabricated to comply with the waste tipping facilities for the disposal of waste that contain waste and can be disposed of in land fill. 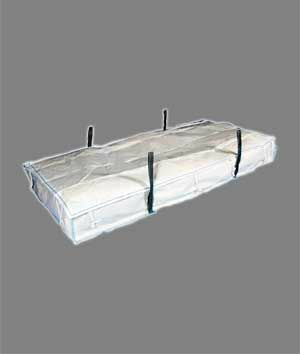 We take extra care to ensure that the Asbestos bag is fabricated with high grade raw material to ensure quality and longer service life. 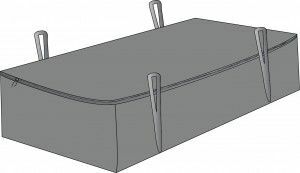 This design is available with all sewing pattern, inlet/outlet design and various closure options. 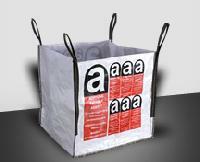 Platen bags have been developed for the management of large-scale asbestos plates. 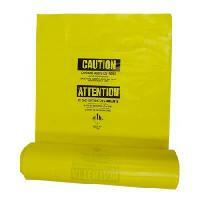 Our Platten bags bear a printed warning ” contains asbestos”. Therefore, necessary safety precautions need to be taken to pack the asbestos plates as per specific country norms. Asbestos has a number of uses in building construction, mainly insulation and can be found in lagging and fire retardant materials. Improper usage of asbestos has deadly consequences including various types of cancer. The mineral exists in very thin fibres and it disseminates in the air with ease – this is what makes asbestos removal a necessity.